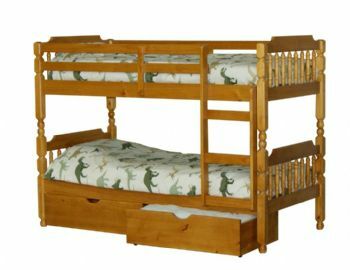 The Colonial Bunk Bed is made with extra solid natural wood and is available in honey or wax finish. The strong and solid construction features a secure ladder giving easy access to the top bunk. Features hard solid wood through in a traditional but stylish finish. A chunky design with a strong and solid construction provides a bunk bed that will stand the tests of time.